before . . . Network News Wire holds no shares of any company named in this news release. Texas is about to enter into a prolific solar boom and this project is just the start. The [200MW] Harmony solar project, 15 miles west of Fargo, is estimated to generate $24 million in direct economic impacts over 20 years, including $5.7 million in revenues to school districts and $2 million to the county over the period, according to Geronimo Energy of Edina, Minn., a renewable energy developer. 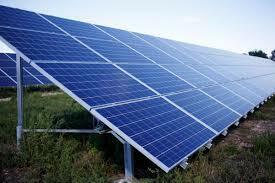 ‘Committed to sustainability:’ Common Council approves solar energy systems at 3 libraries, Fox6 Now. Alderman Nik Kovac, primary sponsor of the legislation and member of the Milwaukee Common Council’s Public Works Committee said the city would own 100 percent of the solar systems and use an existing capital appropriation from the Better Buildings Challenge capital account and Focus on Energy rebates to fund the construction. The system is expected to cut the food bank’s summertime power bills by $500 a month. The University of Illinois has issued a request for proposals for a second large solar array to help meet its clean-energy targets. This entry was posted in NewsBlog and tagged California Solar Rights Bill, customer-centric solar, Deloitte research, green campuses, Green New Deal, North Dakota's first commercial solar project, renewable energy, Texas' solar boom, Wisconsin's Focus on Energy on March 1, 2019 by Helen Deffenbacher.